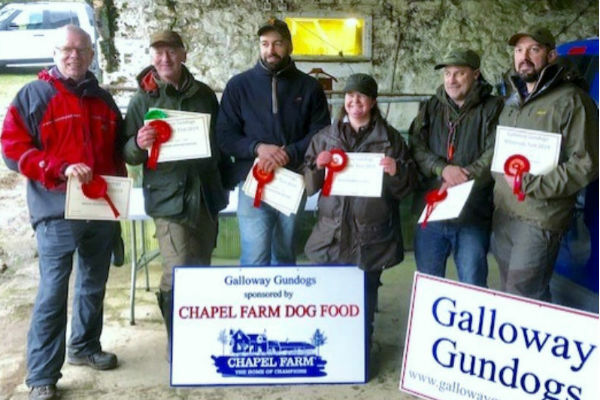 Chapel Farm sponsored Galloway Gundogs held their first test of the year combined with their AGM on the 3rd March at Whiteside courtesy of Lawrence and Penny McNaught. There were six different classes for spaniels and retrievers from Puppy to Open standard and overall a fantastic sixty dogs and their handlers took part. Pictured are the winners of the six classes with their prizes of Chapel Farm dog food. Our thanks to Cammy Watt of Galloway Gundogs for the update and photo.